This statistic displays the distribution of global fentanyl consumption by region in 2016. During this year, the United Kingdom consumed approximately 5.8 percent of the world's fentanyl. This drug can be used as an analgesic and is about 100 times more potent than morphine. 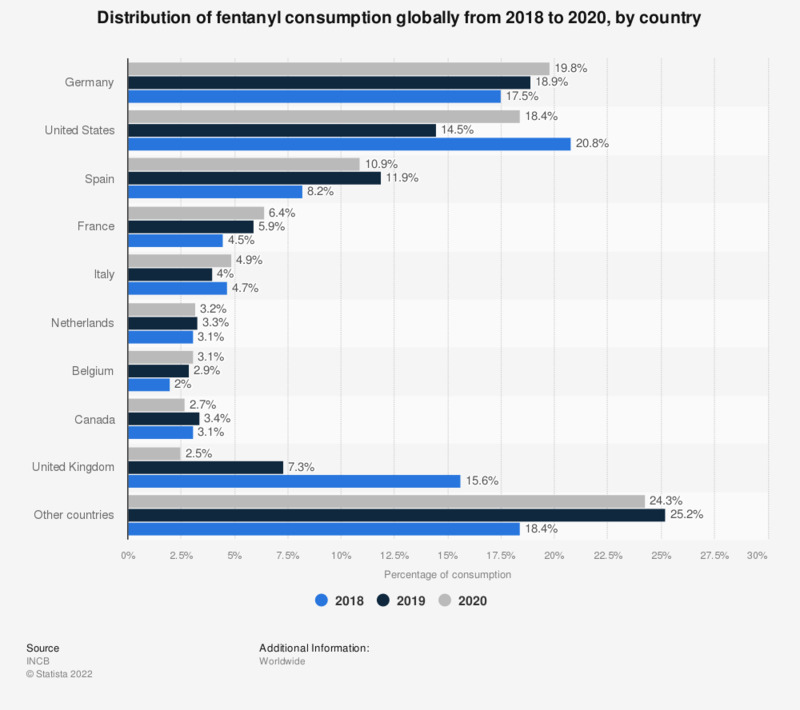 Global consumption of fentanyl has increased steadily in the last decade.